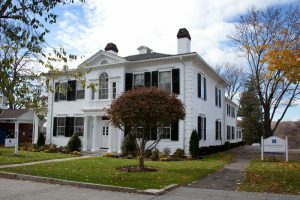 With decades of land-use experience, much of it predating formal zoning regulations, Cramer & Anderson’s attorneys are deeply experienced and uniquely positioned to understand the needs of clients ranging from families building dream houses to small-scale builders, large residential and commercial developers, and educational institutions undertaking land-use projects. The firm also works extensively on land-use and managed growth issues with municipalities and their regulatory agencies, serving as Town Attorneys for the Towns of New Milford, Cornwall, Kent, North Canaan, Sharon, Washington, Bridgewater, and the City of Danbury. We provide all of these clients with the highest quality legal services at highly competitive rates, as well as the benefits of our interdisciplinary approach, in which our zoning and land-use attorneys cross-consult with colleagues on separate but related issues such as the intricacies of municipal law, environmental law, real estate transactions, business and tax law, and litigation. In working with builders and developers, our land-use team handles subdivision, site plan, and special exception applications, which often involve calling on our network of surveyors, soil scientists, civil engineers and other professionals with whom we have often worked. On these projects, Cramer & Anderson’s zoning and land-use attorneys counsel clients on the complexities and details of local government law. The firm has vast experience with local boards and commissions, including inland wetlands commissions, planning, zoning, town legislative bodies and state agencies. One of the firm’s strengths in representing individuals and business clients in land-use proceedings is our understanding of the correlations between local and state agency regulations that may apply. Meanwhile, in representing municipal land-use agencies, the firm handles land-use and environmental litigation, land-use appeals, construction claims and disputes, takings disputes, condemnations, and affordable housing appeals, as well as water pollution control matters. Additionally, the firm has many years of experience in drafting and amending land-use regulations and Plans of Conservation and Development, as well as understanding and explaining the intent of the regulatory schematic. This allows us to guide our clients on the overall vision articulated by the communities and how that vision influences land-use decisions by its commissions. For example, our attorneys are currently working on updating the subdivision regulations in New Milford to manage development, promote orderly growth, and achieve consistency with the town’s Plan of Conservation and Development. As needed, our attorneys litigate appeals of decisions of local land-use boards in Superior Court and higher—as well as representing land-use agencies whose decisions have been appealed. We also have an extensive appellate court practice to handle significant land-use cases taken to the Appellate and Supreme Courts of the State of Connecticut. Cramer & Anderson’s six offices in western Connecticut give the firm broad geographical representation, and we have represented individuals and businesses before the majority of towns in Litchfield County, as well as towns across Connecticut. Our Danbury office and our newest office in Ridgefield serve clients from across Fairfield County. Contact any member of our Planning & Zoning Land Use team to learn more.